Politics and World News: Joran Van der Sloot 2010 Update - Casino Winnings a Potential Murder Motive? 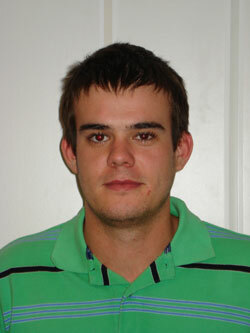 Joran Van der Sloot 2010 Update - Casino Winnings a Potential Murder Motive? Joran Van der Sloot has been in the media since May 30, 2005 when he was the last to see one Natalee Holloway alive. Once again on May 30, 2010 - exactly five years to the day later he was the last one to see Stephany Flores Ramirez alive. Instead of being missing, Flores's body was found brutally murdered in a room in a casino registered to none other than Joran Van der Sloot. The young Dutch man confessed to the murder, but is trying to retract his confession, claiming that he was co-erced. What motive was present that would cause Joran to kill Stephany? She is known to have won approximately $237 the night she died, which isn't much money - but people have been killed because of far less. However, she won $10,000 in the weeks leading to her death, although she was not seen on casino surveillance with Joran the day she died. It's well known that Joran is in need of money. He's wanted in the United States in connection with an extortion plot. He was trying to get a quarter million dollars from the mother of Natalee Holloway, offering in exchange the location of her daughter's remains. It's possible that money is the driving force behind the murder. $237 isn't much, so if Joran killed her for money it was likely the $10,000. We could also be dealing with a serial killer that likes to mock and make the law enforcement officials look like a fool. Another story tossed around is that Flores overstepped into Joran's personal space, enraging him.